Halfway across the globe today, reporters and photographers are being attacked, detained and/or arrested in Egypt. Meanwhile, I’m photographing first grade students receiving homemade knit hats from a local organization. © 2011 by The York Dispatch. Goode Elementary first grade students crowd around to hug Betty Hoke of York Township on Wednesday, Feb. 2, 2011, at Goode Elementary. 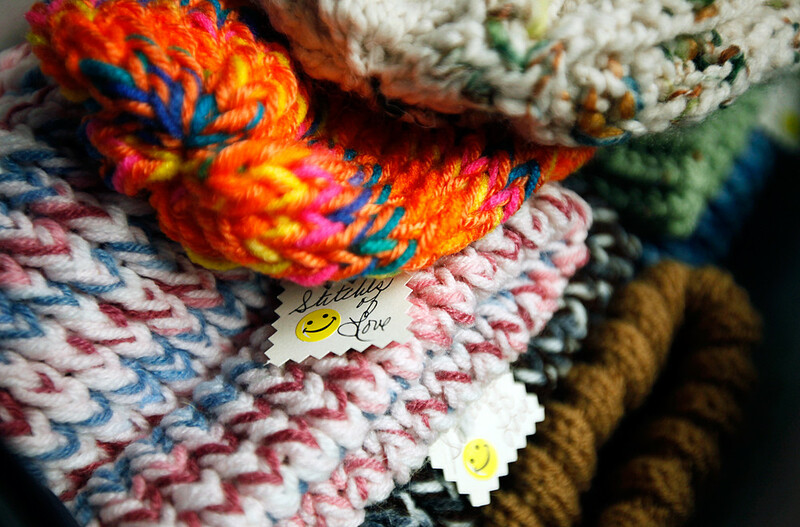 Hoke founded Stitches of Love in 1999 as a way to organize people to knit hats, scarves and more for people in need. I’m just putting things in perspective; I’m absolutely not saying I should (or want to be) be flown out to Egypt, or anywhere else, right now. After all, someone’s gotta stay put and keep covering the home team. © 2011 by The York Dispatch. About 200 homemade knit hats sit waiting for first grade students at Goode Elementary School on Wednesday, Feb. 2, 2011. 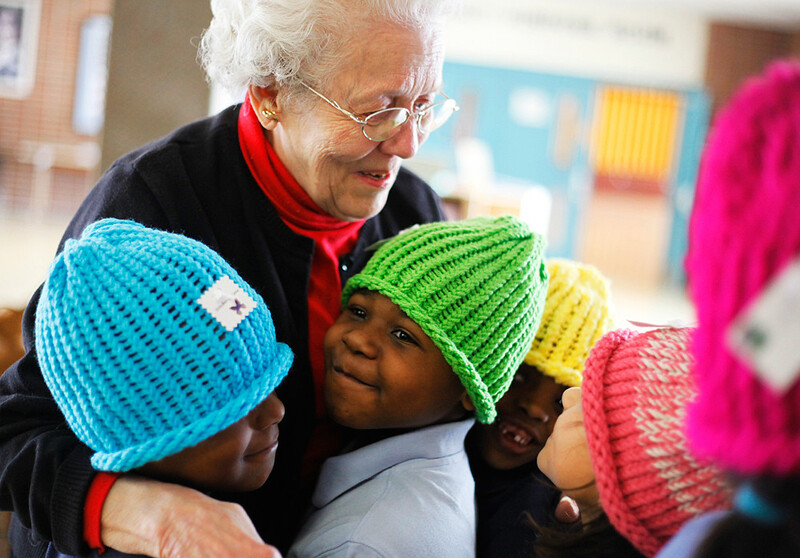 Stitches of Love -- an interfaith network of people who knit hats, sweaters, scarves and more -- donated 200 hats to the students at Goode Elementary School.